The iPhone 7 Plus was released on September 8, 2016. It has been two years, and this year Apple’s new product will be released next Wednesday. The iPhone 7 Plus is another classic Apple product after the iPhone 5. 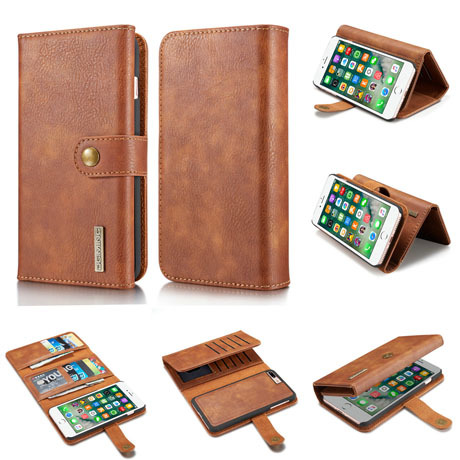 And its accessories is the focus of vendor chasing, today, we recommend the iPhone 7 Plus case is wallet case, which is a combination of functionality and protection. This is one of the largest wallet cases in terms of storage capacity. The CaseMe Wallet Case is designed to protect the iphone screen from cards in the wallet. The magnetic case is slightly higher (not flush) to the phone screen, adding some protection to the phone screen. This case can be used alone as a wallet instead of a mobile phone. The wallet is designed to be detachable phone case. They are magnetically connected. These magnets ensure that the iphone does not easily get out of the wallet. 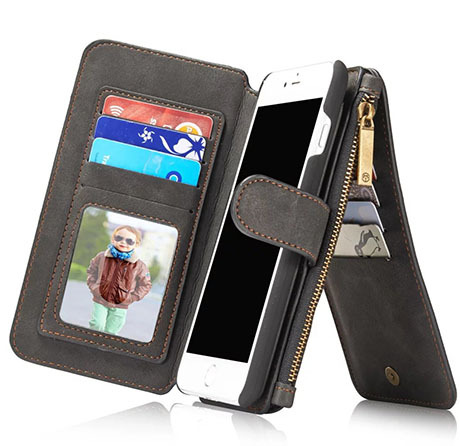 From the picture, it is a real wallet, the disadvantage is that it is a little thick, it has multiple card slots and zipper pockets, zipper can store coins, headphones or lipstick, it can be perfect as a travel wallet case. The magnetic clasp keeps the housing securely fastened. The impact-resistant housing increases durability and provides reliable protection for the iPhone. 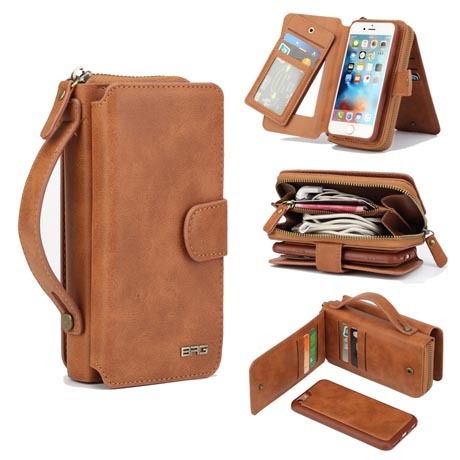 This wallet case is made from real cowhide leather, high quality leather and elegant for a long time. It has 15 credit card slots and 2 cash pockets, and is designed with a removable 2-in-1 design that makes it easy to separate the phone case and wallet. The new iPhone will be released next week. I believe you are interested in its accessories. You can take a look at these articles.